The chapter takes its name from its location in Ponte Vedra Beach, a Florida seaside community situated 18 miles southeast of downtown Jacksonville and 26 miles north of Saint Augustine. Located in northern St. Johns County in the area known locally as “The Beaches,” Ponte Vedra Beach lies between the Intracoastal Waterway and the Atlantic Ocean. 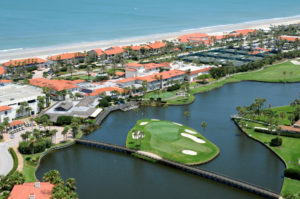 Ponce de Léon might have sighted the dunes of Ponte Vedra Beach during his voyage to Florida in 1513, but the community is best known today for its oceanfront resorts and championship golf courses. Ponte Vedra Chapter NSDAR meets at 11:00 a.m. on the first Tuesday of each month, September through May. Meetings are held at a local country club and are followed by lunch and time for socializing. Contact us for more information.